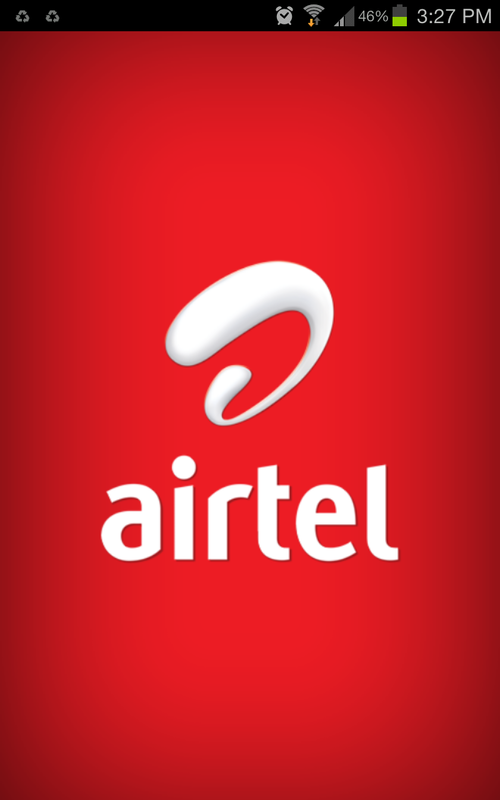 Airtel is the one of the major network operator in India and it has also made its presence in various other countries as well. 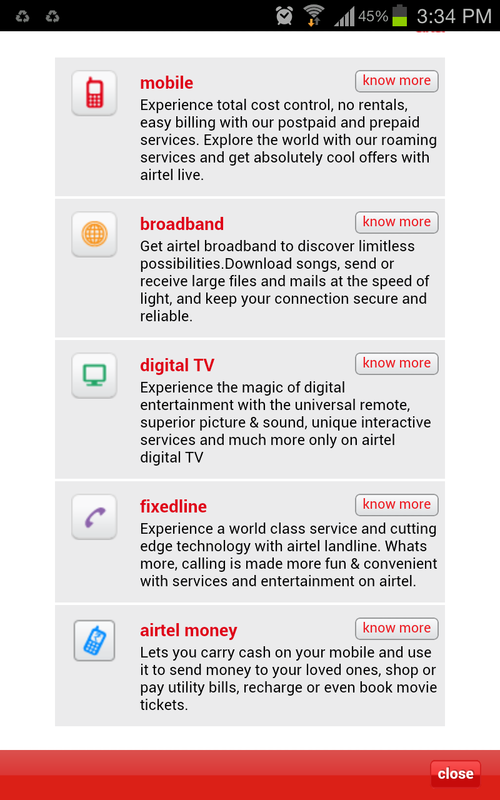 Airtel is not just a mobile carrier but it known brand in broadband, digital TV. 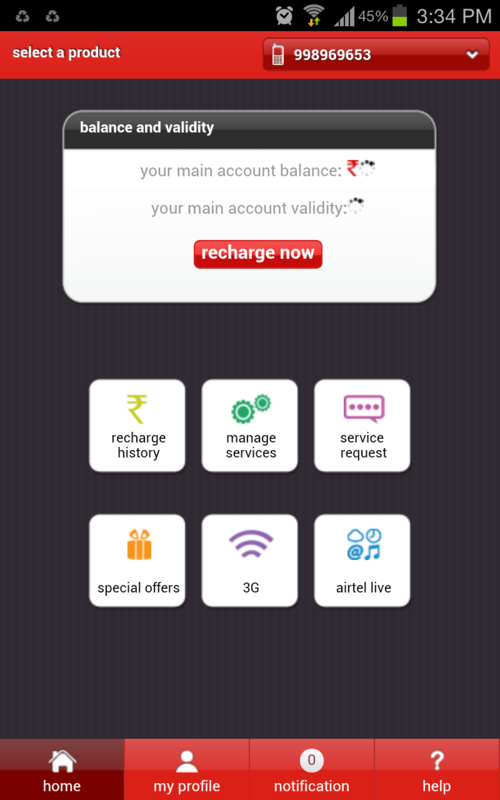 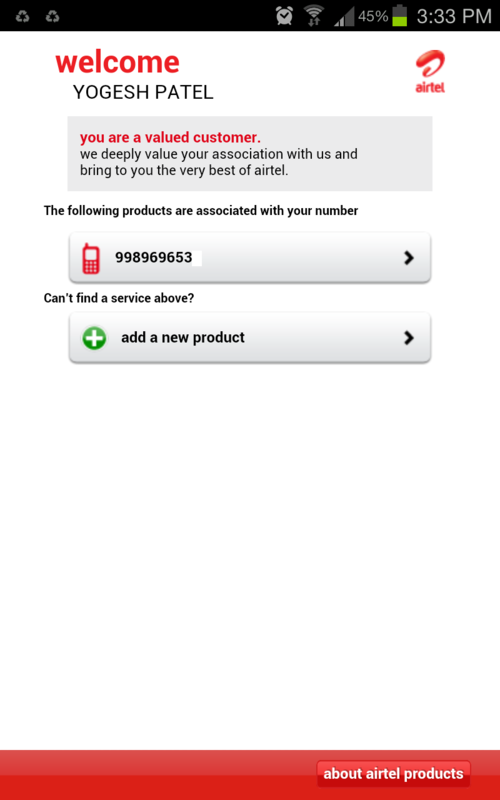 Bharti Airtel has recently launched an application by which users can manage all of their Airtel services associated with you right from your mobile phone itself. 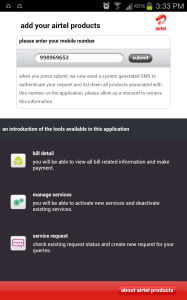 This application is available for all the platform of the mobiles like Android, BlackBerry, Nokia & other java phones as well. 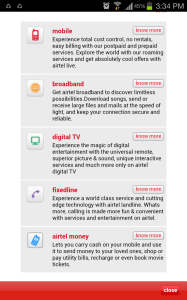 My Airtel is the simplest way to manage all of your’s Airtel services. 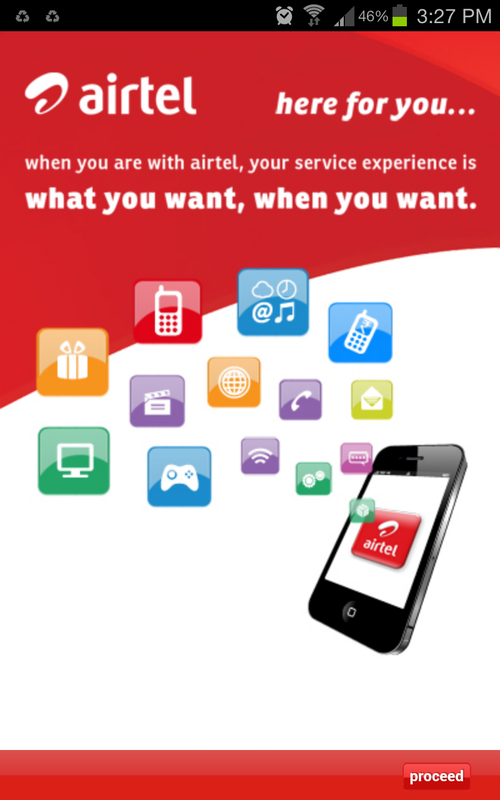 Through a friendly and intuitive user interface, My Airtel app provides all the services request on the go directly on to your mobile phone. 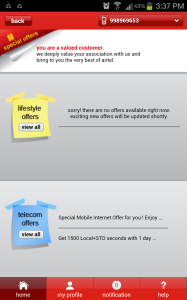 A real time bill tracking, pay bill online, news updates, start or stop hello tunes, get instant offers can be easily done. 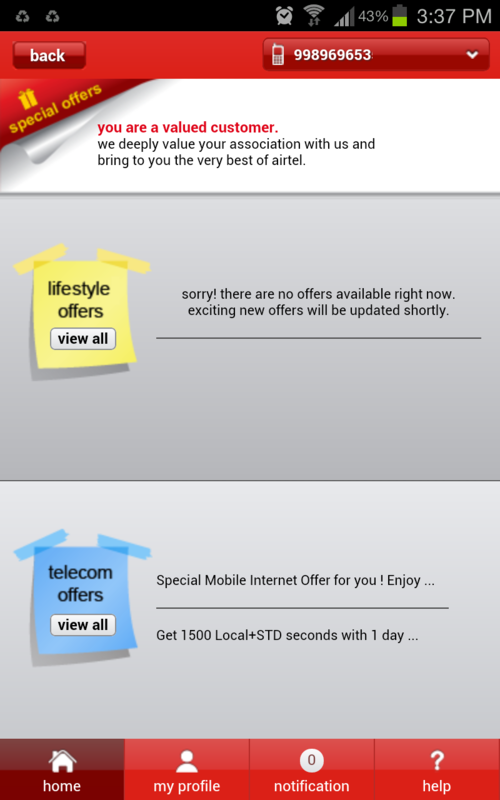 Airtel promotes this app with following tag line “Airtel – here for you. When you are with Airtel your service experience is what you want, when you want”. 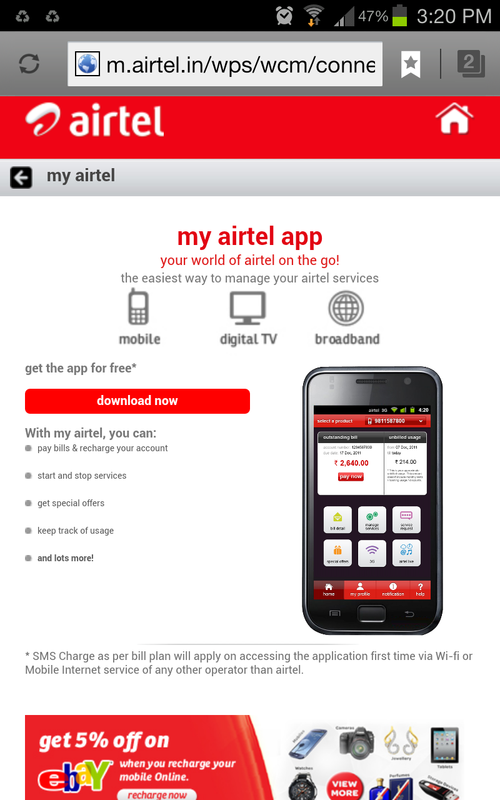 When you download this application and open it for the first time you will asked to accept the terms of agreement, do it. Next you will be proceeded to provide your mobile number. 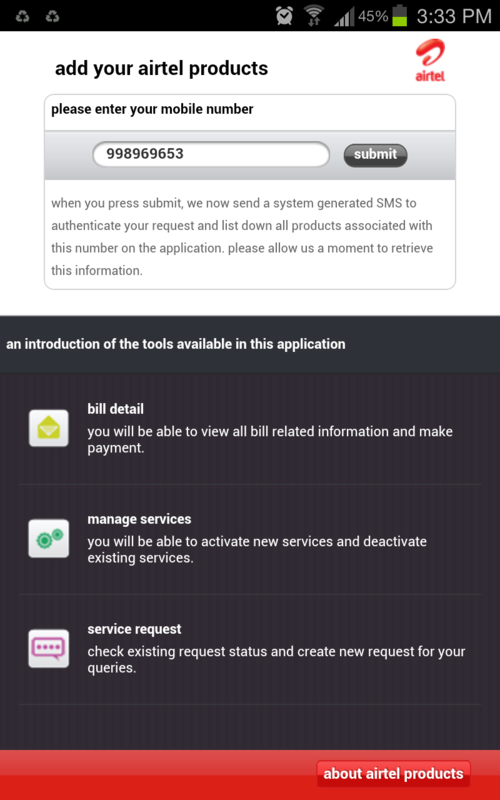 Upon your submit, it will send you a system generated SMS authenticating your request to list down all the services associated with that number. 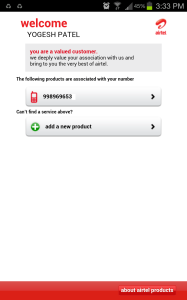 As I am using only the Airtel GSM service, I just get the number listed. 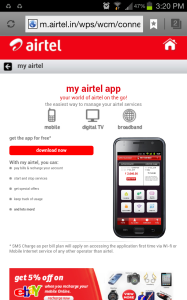 Users can download this application by going through airtel.in/myairtel or by sending SMS as myairtel to 54321. Alternatively one who is using Android powered phones; they can directly visit My Airtel app listing and download it from the Google Play Store for free.